One thing I realised so far is, quite a few people love lines. To get free drinks, concert tickets, getting into clubs etc. They say Hong Kong people loves to line up. When they see a queue, they jump into it right away without knowing what they are lining up for. It happens not only in HK I must say. It happen everywhere; in NYC, Paris and in London. Just off Shoreditch High Street, where Brick Lane market peters out into a grungy warren of warehouses and strip pubs, we then passed by the expensive Les Trois Garçons which I totally adore, Lounge Lover, followed by Shoreditch House, the largest and most fabulous London offshoot of the private members’ club Soho House, we arrived at our destination, the Boundary. No lines! Luckily it was early for most working crowd, it was 5.09 pm. The serious looking body builder-like guard asked “yes, may I help you” and Ian said,”we are heading up for a drink”. The guard paused for quite sometime, walkie talkie once. And said,” Please” “yohoo!” I acted cool, walked up and whispered. We entered the elevator and went up to the roof. It was nice and chill with the summer sunlight. Panoramic views range 360 degrees from Canary Wharf, round to the City’s Gherkin and Barbican, and back again to the rooftops and spires of East London. 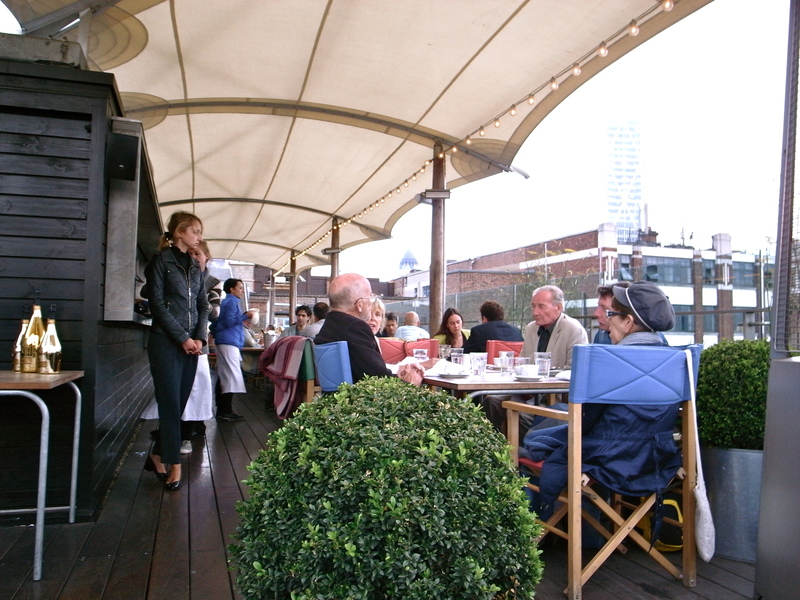 The space is replete with a large sail-like canopy, heating, festoon lighting and Welsh blankets. I picked a sofa in front of a fire place and ordered a flute of champagne. The place remind me of Sevva in HK, in a petite version. A day after, I realized this place is in fact opened by Sir Terence Conran, who has known an up-and-coming area since he opened the Soup Kitchen on the King’s Road in 1953. His latest offering, Boundary, comprising a restaurant, café, hotel and foodstore, is very much a labor of love for Sir T, who has largely financed it himself (presumably using some of the profits from the sale of the Conran Restaurant Group). 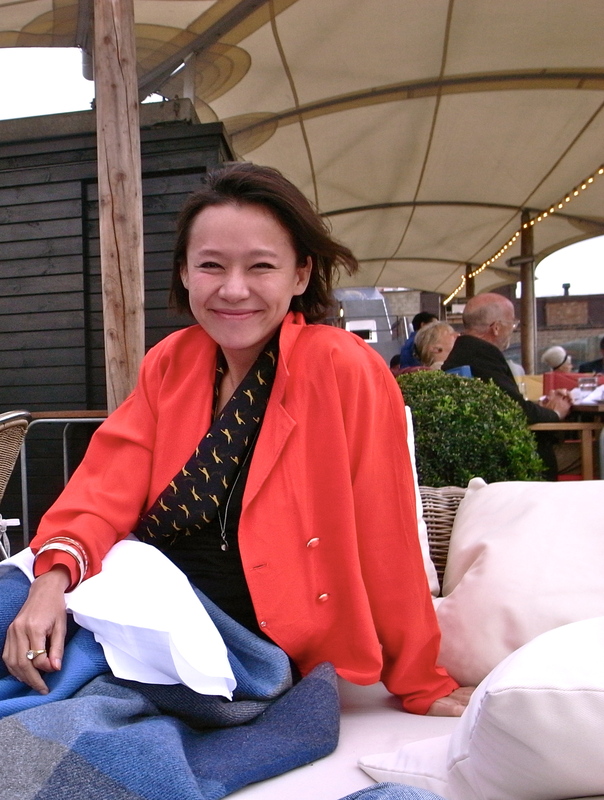 He has also overseen most of the design, drawing on an all-star cast of artists and designers. The result looks wonderful – a Victorian warehouse, remodelled into a thoroughly modern East End pleasuredome. To me, this is one of the lines worth lining up for. The main activity of the club is the monthly events which range from private and bespoke occasions to events open to the entire club membership. The aim is to offer a diverse and interesting programme of wine experiences that vary in price, format and size – from simple and short tastings, equally welcoming beginners and those with more advanced knowledge, to exclusive dinners featuring world-renowned wines. 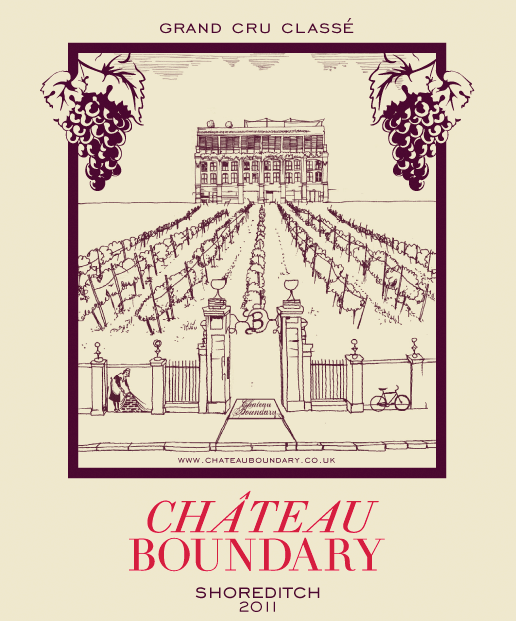 Launched in May 2010 by Prescott & Conran, Château Boundary is a wine club for beginners, enthusiasts, connoisseurs and those who simply enjoy vinous delights. hi carol, so glad i found this, im going to check it out next time im out east! Hey Tinkerbelle, go early and there isn’t a long line like the rumors out there! it’s relaxing and stylish and reasonably priced. 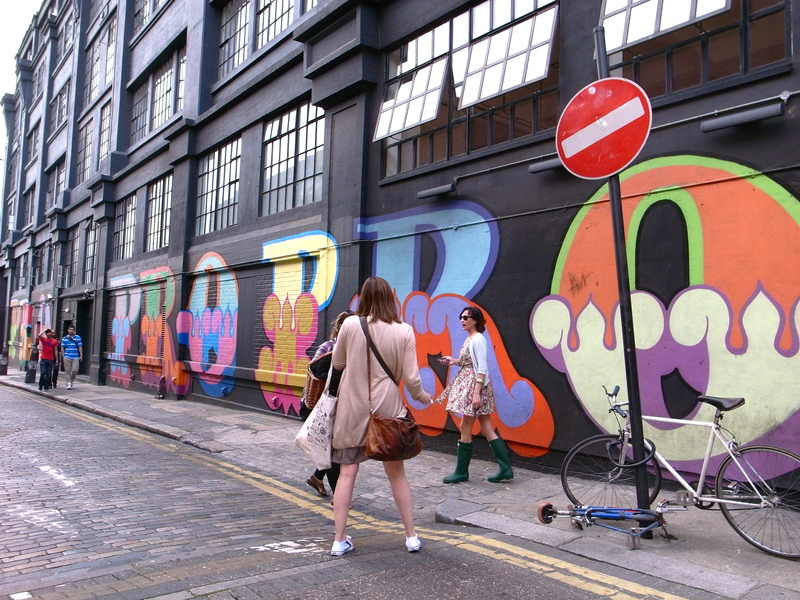 hey and who doesn’t love Shoreditch!